We knew it was going to be a good ballgame. Canada is very well coached, they’ve got talented players and they made some adjustments. And then as the time went, we got comfortable with things, and we made the adjustments. I thought the players did an outstanding job of looking for each other, instead of looking to make things happen for themselves. They were trying to get their teammates involved. Can you talk about the team’s performance in the third quarter? We came out and ran a set we hadn’t run before, we executed it perfect and we got Rhyne (Howard) an open shot and she knocks it down. That put a smile on her face, and the bench got excited, everybody got excited. Then we come up with a stop and another score by Christyn (Williams), and that kind of put the momentum in our corner. What have you seen out of this team throughout this process? I’ve seen growth, and I’ve seen them become one. We talked about it all the time – it has to come to a point where you are playing for each other. I really believe the last few days, they started to buy into that. And, if somebody were to get beat, instead of worrying about what the coaches were going to say, they were worried about letting their teammates down, and I thought that was really what brought us together. What does this gold medal mean to you? 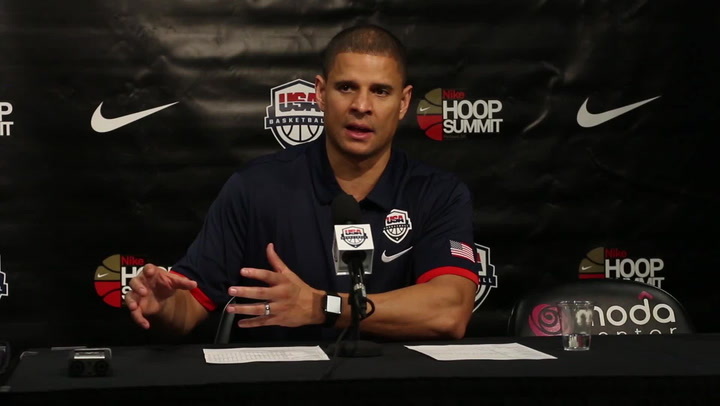 It’s an honor just to be a part of USA Basketball. 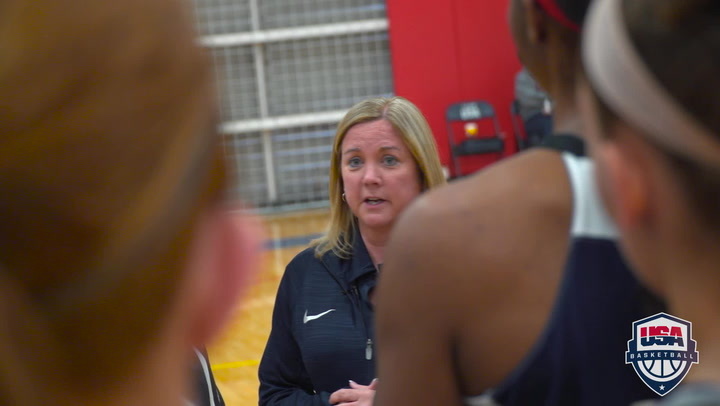 It wouldn’t matter to me if Carol (Callan, USA Basketball Women’s National Team Director) called and asked me to be a manager, I’d come and do it. It’s an amazing standard that they set here at USA Basketball, and I think I learn not just from every opportunity, but every day. You are expected to do it right, and that’s just a standard that is set at the top. That’s why I love to come out and be a part of it. It’s a wonderful feeling. What did it mean to you to be named to the all-tournament team? I was low-key shocked, because I feel like I had 10 other teammates who deserved the award, too. What did it mean to you to be named MVP? I was shocked, but I felt good at the same time, because it meant people thought I was playing well enough to earn the honor. We all played together as a team. We really came out strong in the second half and pulled ahead. We played really well. What does it feel like to win a gold medal? It’s just a huge honor to be able to win a gold medal wearing USA and playing with these girls. That was so exciting. We came out there with so much energy. We all knew we wanted a gold medal, and it was a matter of just going out there and fighting for it, and that’s exactly what we did. So, I’m just so proud of everybody. It’s a great feeling. Can you sum up the experience yet? Starting on July 20, we’ve just been working so hard. So, it feels great to see all of our hard work pay off and be on top of the podium with the gold medal. I feel like we played well. We all executed well. I thought we just played together. We played for each other today. In the second half, we had more energy. We started scoring and kept going. I feel like our energy was great the whole game. What does this gold medal win feel like? It’s been great. The whole thing has just been fun. I would do it again. It was a total team effort. We played our hearts out, and we got result that we wanted. It’s a huge honor. We have all worked so hard since July 20 to win, and for it to finally come true … it’s hard to explain. I’m just very happy. 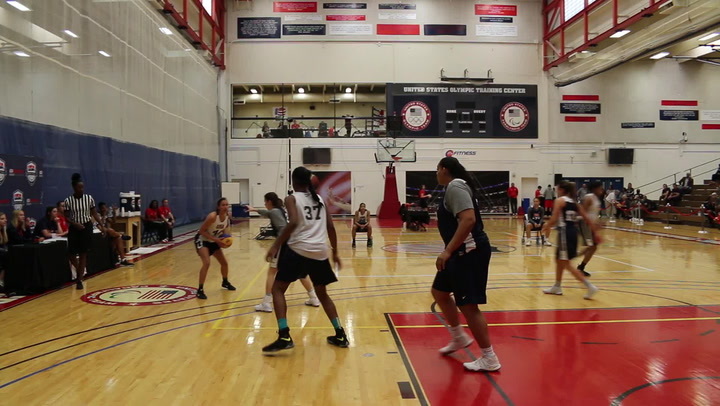 The 2017 USA Women's National Team closed out its final day of training with a high-energy, competitive contest. 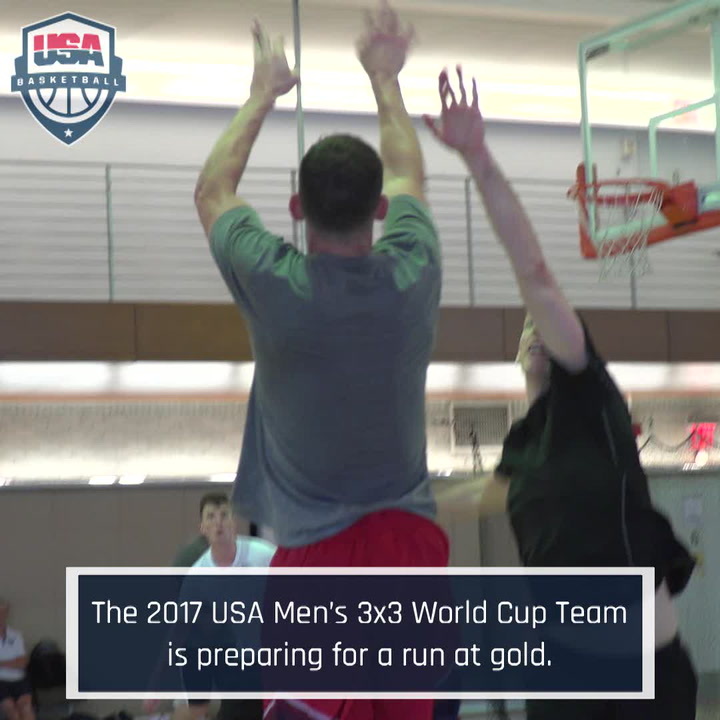 The four-member USA 3x3 National Team is ready for the challenge the June 17-21 FIBA 3x3 World Cup poses. "Right now, it's all about the name on the front of your jersey." 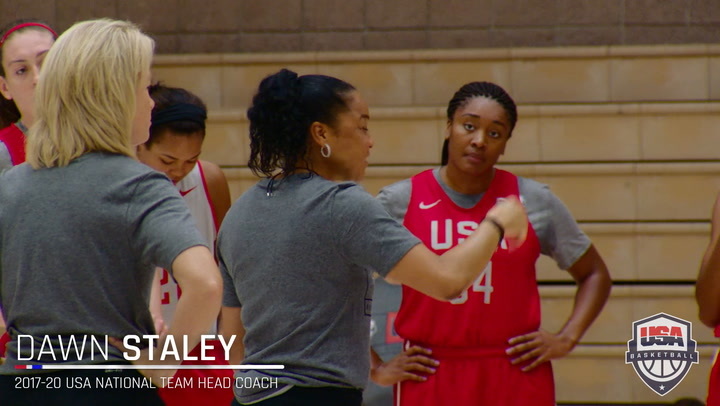 Sights & Sounds from the USA Basketball Women's U19 World Cup Team Trials. Behind 19 points from Michael Porter Jr. and Jarred Vanderbilt, the USA defeated the World Select Team 98-87 to earn the "W" in the 2017 Nike Hoop Summit. Check out some of the USA highlights from the game. The Washington Huskies (6-1) outscored the University of Oregon Ducks (5-2) 20-17 to take the 2017 USA Basketball Women’s 3x3 National Tournament crown. 55 members of the USA Basketball Men’s Junior National Team program took part in a three-day USA Basketball Men’s Junior National Team minicamp which included participating in the NCAA Next Generation Sunday at the 2019 NCAA Men’s Final Four.